The story of a Polish priest who sacrificed his life to save another man in Auschwitz. Almost 3,000 tickets have been bought for Ten Ten Theatre’s new production of David Gooderson’s powerful play ‘Kolbe’s Gift’ which will be staged in London’s West in October. 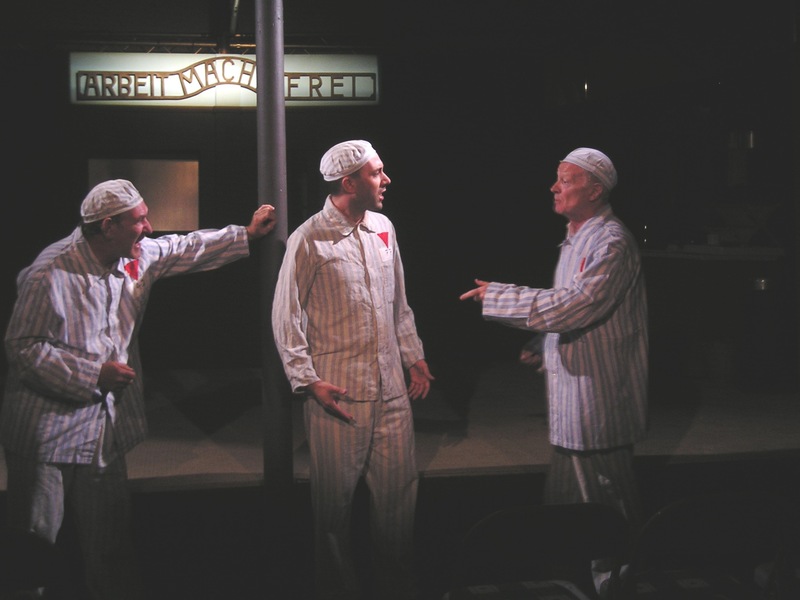 The play tells the story of Polish Conventual Franciscan priest, Maximilian Kolbe, who sacrificed his own life to save another man condemned to death in Auschwitz in 1941. Fr Kolbe was canonised in 1982. The play explores what happened to the man whose life was saved, Franek Gajowniczek. Schools and parishes from across the UK are making the trip to London’s West End for the play’s short run which has been brought to life by the Catholic theatre company, Ten Ten. Working in partnership with a number of other partners including the Catholic Truth Society, Aid to the Church in Need and Notre Dame de France Church in Leicester Square, the production has prompted widespread interest in Kolbe. • A photographic exhibition, sponsored by Aid to the Church in Need, which takes the viewer on a journey from the Kolbe story to examining Christian persecution throughout the world. This will take place in Notre Dame de France church in Leicester Square, London throughout the month of October. It starts on 1 October and is free for the general public. • A new CTS booklet called ‘St Maximilian Kolbe: Martyr of Charity’ written by Fr James McCurry, the Provincial of the Conventual Franciscans and produced in conjunction with the ‘Kolbe’s Gift’ play. • A post-show discussion on Friday 4 October involving the writer David Gooderson and Fr James McCurry. This is a free event open to all. It takes place in Notre Dame de France church, starting at 9.15pm, immediately after the evening performance of Kolbe’s Gift. The event is sponsored by the Catholic Truth Society. • Education workshops run by the Ten Ten Theatre team for young people before the play. All spaces are now fully booked. Promotion of the production to schools and colleges has been supported by The Whitehouse Consultancy. • A new short film produced by the Westminster Vocations director Fr Richard Nesbitt made by students from Finchley Catholic High on the life of St Maximilian Kolbe. • An Education Pack for schools throughout the UK about Kolbe and the work of Aid to the Church in Need, available for all schools from the Ten Ten website. David Gooderson is renowned as both an actor and a writer. On television he is best known for playing Davros in Dr Who (BBC) and Simpkins the pathologist in A Touch of Frost (ITV). As a writer, his work includes five plays which have been broadcast on Radio 4 and an adaptation with David Conville of ‘The Wind in the Willows’ which has twice broken box office records, at the Birmingham Rep in 1991 and the Open Air Theatre, Regent’s Park, in 2004. Ten Ten Theatre is an award-winning theatre company established in 2007. In addition to its mainstream theatre productions, Ten Ten delivers a Relationship Education programme for children in both primary and secondary schools as well as with parents and teachers. The charity has also developed a significant programme of work in prisons and young offender institutions throughout the UK. The organisation has a Christian ethos, rooted in the Catholic tradition and is highly acclaimed for its professionalism, quality of scripts and performances.